Holiday season is already here and in a few more weeks, it will be 2016! And for this week, here is a curated weekly roundup of the breaking news and must-read thought leadership pieces on the crowd economy spotted by the Crowdsourcing Week team. Will Silicon Valley startups and emerging tech companies provide “a greener pasture” for Wallstreet talents? Recently, three Goldman Sachs bankers have left the company to join tech startup Uber, Reuters reported. A better work-life balance and also the opportunity to work at fast-growing private companies entice them to do so. Imelda Marcos, the former first lady of the Philippines, is known as a lavish shoe collector, but that’s not all, the Marcoses are also fond of collecting expensive artwork, jewels, accessories and other masterpieces. The incumbent government is turning to crowdsourcing by setting up a website few weeks from now to help them find “some 200 missing paintings by likes of Picasso, Van Gogh and Rembrandt” to re-assess their value, which are believed to have increased, The Telegraph UK noted. London recently launched Smart City Challenge competition to accelerate its influence when it comes to smart cities, Telegraph UK reported. Backed by the London Mayor’s Office, a Smart City Challenge is being run by companies like Transport for London and IBM, who are offering a total prize of £750,000 for developers and entrepreneurs to use the Internet of Things, the cloud and other technologies to address the biggest challenges faced by Londoners. With fast access to the Internet, a different mindset emerges. Here’s a thought-piece why Chinese millennials are happy to own nothing featured on Bloomberg. Xiong’s own evolution reflects a generational shift in attitudes toward wealth, social status and well-being. During China’s go-go years, young men and women flocked to the booming coastal cities and set about acquiring the material possessions their parents never had: apartments, cars, fancy vacations. At first, Xiong was much the same. Growing up in the heartland city of Chongqing, he moved to the coastal province of Jiangsu to study food science and engineering. He became one of the few in his class to land a job at a multinational corporation. Here’s a good read and a project that you should check out if you’re an art fan or enthusiast. 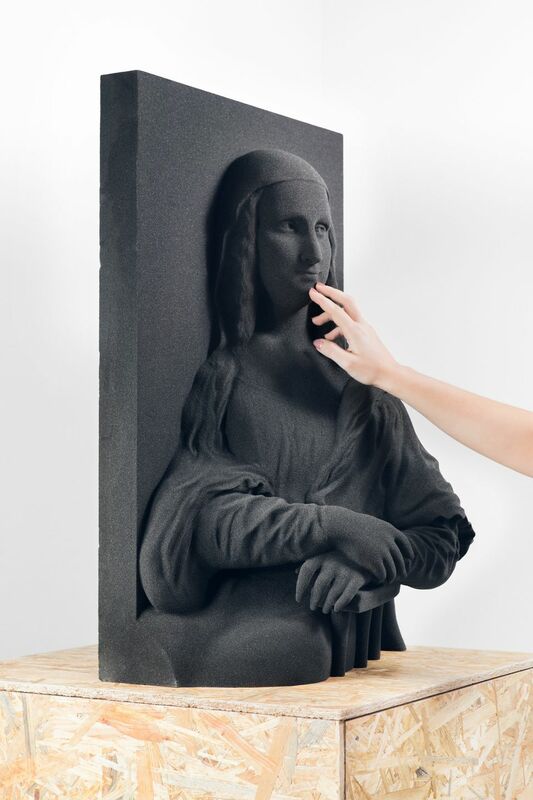 These 3D versions of the world’s famous paintings and masterpieces will be available for visually impaired via The Huffington Post.